To a fault, Cyrus is an independent comedy made by filmmakers on the cusp of becoming mainstream. Mark Duplass and Jay Duplass started on the indie film scene in the early 2000s, and thanks to their clever style and cockeyed viewpoint on life, their films have been well received. But while the Duplasses are getting more and more attention, their ambitions remain the same, and that can be a problem. Their latest, much like everything that came before, relies on improvised dialogue and understated production value for its presentation. 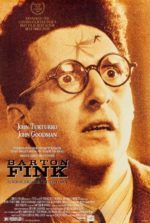 And while that’s their style, when there are recognizable stars onscreen, it seems pointedly contrarian to reduce your production with such a low-budget feel. Of course, when your stars are John C. Reilly, Jonah Hill, and Marisa Tomei, the improvisational approach works well. What annoys are those jerky camera zooms shot in a quasi-documentary style; they feel more appropriate for TV’s The Office. In grainy, natural light, twitching in and out of close and medium shots for seemingly no reason other than the intended style grates on the viewer, even if the approach disappears once the movie has taken off. But then, sure enough, the engaging and hilarious story and the performances behind them are enough to distract from the Duplasses messy visual approach. The story follows down-and-out loser John (Reilly), who’s been in a funk since his now ex-wife (Catherine Keener) left him seven years ago. She and her new fiancé (Matt Walsh) insist that John get out of the house and try to meet people, so they invite him to a party. 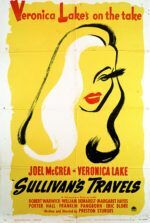 The painfully honest John makes a number of drunken, embarrassing confessions to uninterested women, but somehow manages to draw the attractive and sweet Molly (Tomei). The two have a few nights together, but each time she leaves John’s house before the morning. Is she married, John wonders. So he follows her back to her home and discovers that Molly is not married, but has a seemingly polite twentysomething son, Cyrus (Hill), living with her. At first, Cyrus seems respectful and understanding about John’s immediately serious relationship with Molly, who has always pampered her son. John finds their mother-son relationship perhaps a little strange, but nothing concerning. And then John’s shoes disappear in Molly’s home. Could Cyrus have taken them? Could Cyrus’ sometimes awkward, fake-polite behavior be a symptom of some greater feeling that he isn’t expressing? John suspects that Cyrus may be plotting against the new man in his mother’s life, but he can’t be sure. Then John comes to the frightening realization that Cyrus, working from a disturbing Oedipal fixation, has determined to destroy John in his mother’s eyes. What’s worse, he can’t speak to Molly about the issue because she remains ever trusting of (and oblivious to) her weirdo son’s behavior. Reilly plays the vulnerable sad sack well, as there’s never a doubt he’s hurting inside. After all, before Step Brothers and Walk Hard: The Dewey Cox Story, Reilly was an Oscar-nominated actor in pictures by directors like Martin Scorsese and P.T. Anderson. His ability lends an involving intensity to the subtle warfare between John and Cyrus. Hill, meanwhile, has always been sort of creepy and he fills his role nicely, even offering a believable moment of weakness in the final scenes. And coming off Before the Devil Knows You’re Dead and The Wrestler, Tomei’s Molly confirms that the actress has found her niche with the independent film, as she’s the perfect sympathetic female lead for such projects. The Duplass brothers’ previous film was Baghead from 2008, a curious and underseen pseudo-horror-comedy. That film followed a group of screenwriter friends who retreat to a cabin in the woods to write a horror movie set, you guessed it, in a cabin in the woods. During their time there, the group volleys romantic advances from one another while having the sneaking suspicion that they’re being watched. Sure enough, someone is spotted with a bag over their head in the woods, watching. They’re not sure if it’s just one of them playing a joke on the others, or if someone is really stalking them. And just like Baghead, the Duplasses turn out a film where you’re not quite sure if you should be laughing or troubled or both. 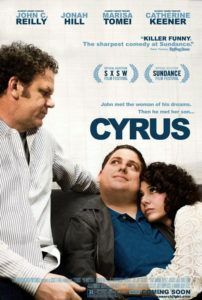 Cyrus has an uncomfortable affect that ultimately peels back to reveal a sensitive and insightful film, with some riotous laughs therein for those with the appropriately dark sense of humor. But it’s also a well-acted character study of three people who don’t want to admit the truth about themselves—that they’re fragile, needy, and selfishly holding on to someone they shouldn’t. Everyone has complicated ways of handling their problems, but watching the characters here work through theirs proves very funny, and even endearing.